It’s been a long, but exciting, week here in New York City. In the last 4 days our 1 year old got to visit Times Square (more than once), see the world’s most expensive toys, go on a tour of 30 Rock, and meet Corky from Life Goes On; not bad, huh? 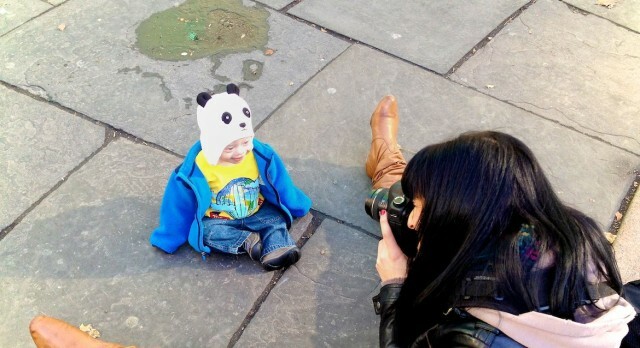 Our son’s quick (as in one day) career as a baby model…. You’d think since we were heading back home today, we’d take easy this morning. Not so much. 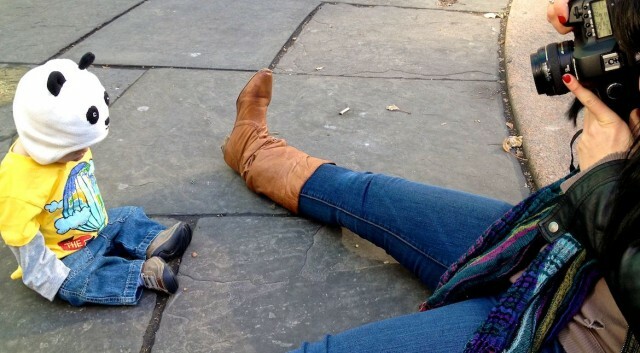 It turns out Noah wasn’t content on just meeting a young model while we were in New York, he wanted to see what it was like to be a model himself. 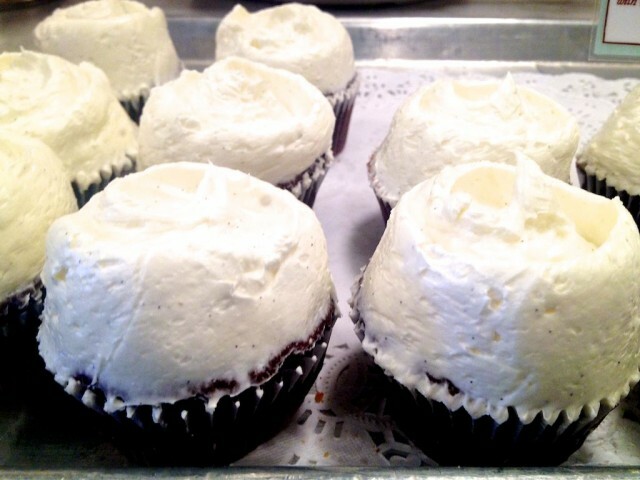 So we obliged. While we were in New York we were contacted about Noah being involved in an awesome project they were working on. 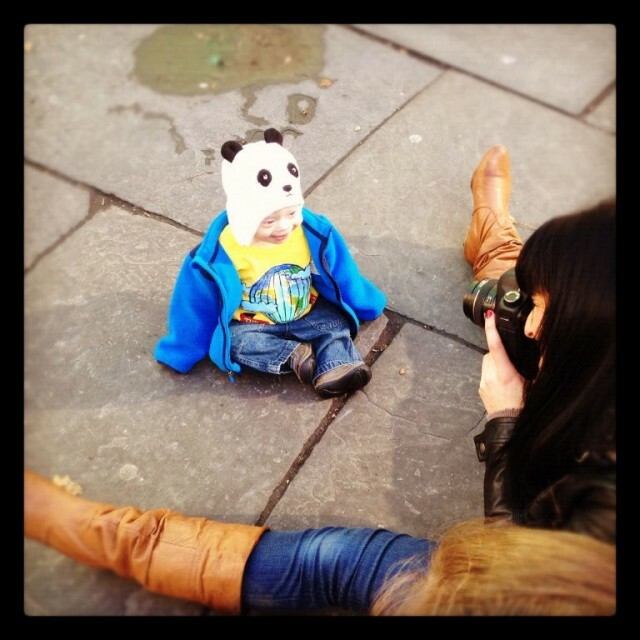 And they wanted to do a photo shot here in NYC with him before we headed home. After talking it through, and learning more about the project, we agreed. Noah’s no stranger to the camera (since his dad always has one in his hands) so he had a lot of fun! 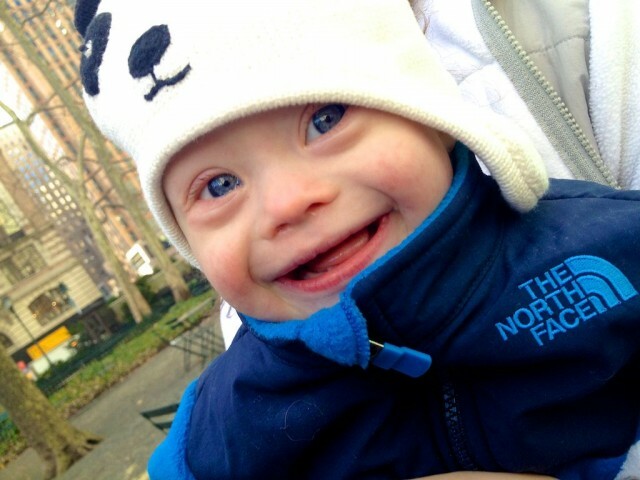 On a side note, it was very cold while we were there, and Noah had to change into several outfits….in the cold! Talk about suffering for your work! 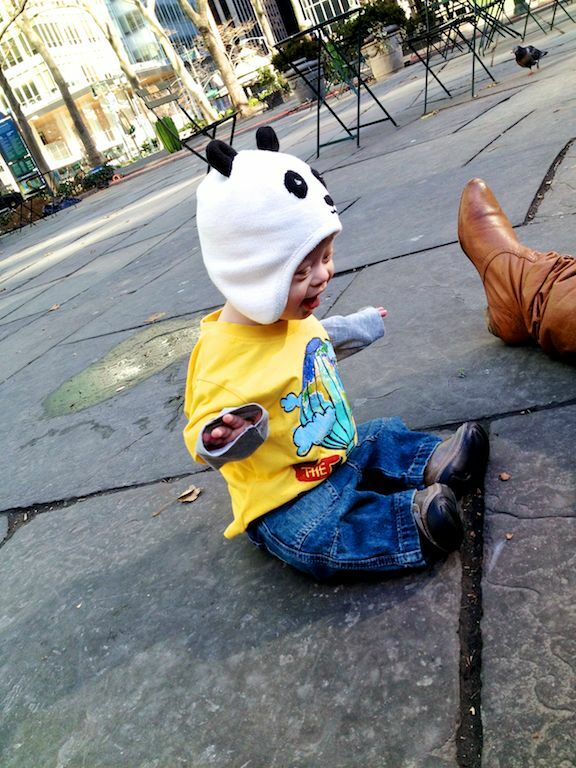 Here’s a few pictures of Noah “on the set.” Cute kid, huh? Side note, after this post Noah actually ended up on a magazine cover! So technically it was a 2 time deal. And twice is enough. I don’t need this kid getting a big head or anything. Sleepy Noah on the train. We took to the train to Church St and headed up the stairs to the memorial. You have to have tickets to go to the 9/11 Memorial, but the tickets are free. 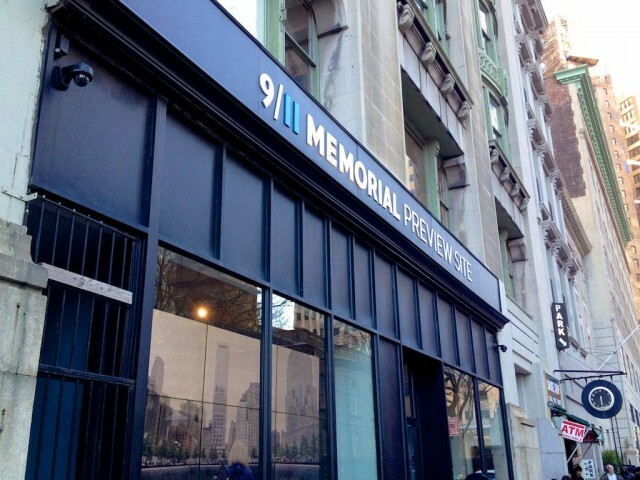 You just have to go to the 9/11 Memorial Preview Site building where they also have a little “museum” to pick them up. 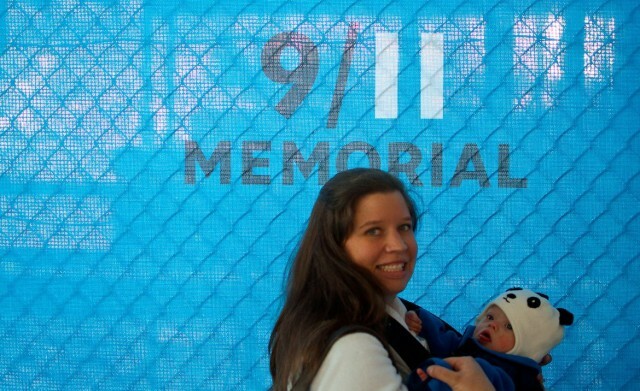 Although we didn’t have to wait in line to pick up our tickets, we did have to wait in line, and go through several security check points, to get inside the 9/11 memorial area. It wasn’t a bit deal, but it wasn’t quick. I was surprised since it was in the middle of the day, on a weekday. So if you’re planning on visiting the Ground Zero site in New York, just a warning that you may have to wait in line. 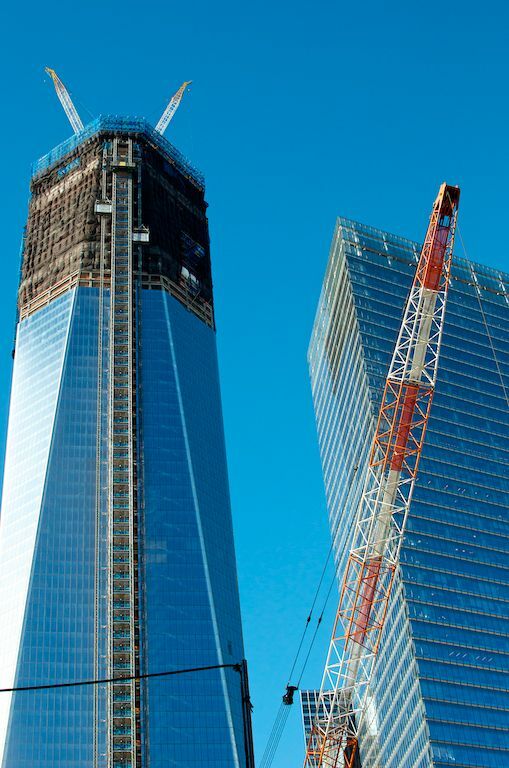 As you can see they were making great progress on what will eventually be the new World Trade Center while we were there. Pretty stunning, huh? The centerpiece of the 9/11 memorial are two incredible reflecting pools. One of the twin reflecting pools. 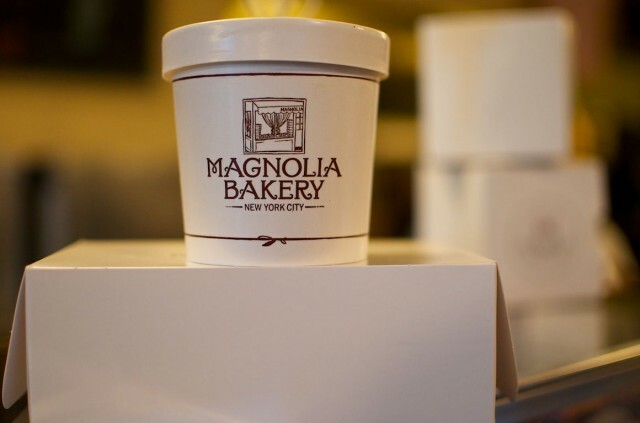 Another fun fact about New York City cupcake shops is that every one of them (that I’ve been to) sells banana pudding! And being a connoisseur of good banana pudding, I decided to grab a side of banana pudding with my cupcake. Because hey, why not? Oh, and if you’re looking for another great way to catch diabetes while in New York, be sure you dont miss my personal favorite New York Dessert, Crack Pie. You will feel sick afterwards, but it’s so worth it. By the way, here’s recipe for Crack Pie if you’re interested in trying to make it at home (like I did last Thanksgiving. Let’s just say it wasn’t quite the same. Noah’s going to be on the Big, BIG, screen…. After a great week in New York, it’s time for us to head home. My wife isn’t a huge fan of the Big Apple (she’d take a beach over buildings any day of the week) so I normally come here with friends. It was nice to be able to hang out with her, and my son! I’m not sure when we’ll back, but I can’t wait! In related news, Noah’s picture was selected to be show in the Times Square Buddy Walk Video on Saturday, September 22 2012 (in a few weeks!) I wish we could go and watch the video, but budget wise it’s not a good idea (since we’ve already gone to NYC once this year, and hotel and airfare aren’t cheap.) Hopefully we can watch the Times Square video viciously through some of our friends who will be there! I’ll get them to take a video, of the video. Epic, huh? 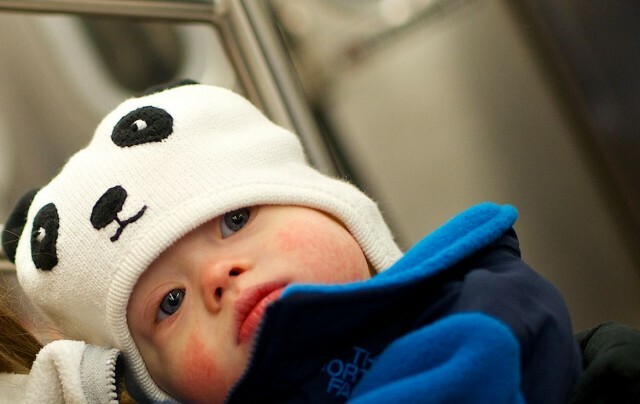 It was an honor for Noah’s picture to be selected, and we want to thank the National Down Syndrome Society for including him in this years video! 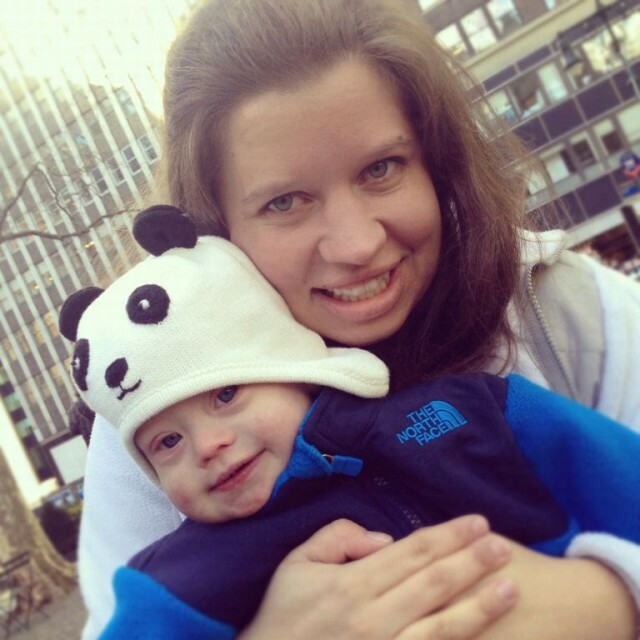 Have you ever been to the Times Square Buddy Walk Kick off? Is it as awesome as I imagine it? Leave a comment and tell us about it. Bonus points if you post a picture! Be sure to sign up to receive our posts directly to your email, and be the first to know when we post something new. It’s quick and easy. Just enter your email in the box below, and press enter. Be sure to check your email and click on the validation email you’ll get so we know you’re a real person. 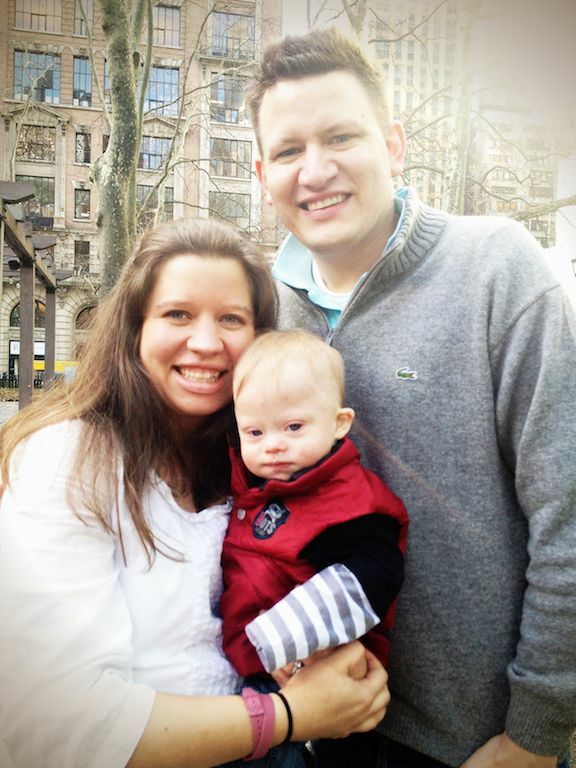 I so appreciate your comments – and the pride with which you share thoughts about your young son who has Down syndrome. When my son was born in 1990 there were not many avenues to share and connect with others about my experience. Now that my son is 22 years old, it is hard to believe so much time has passed as those early days stay with me as we wondered and worried what the future would hold. Now that the future is here, so to speak, I still wonder and worry. Could my son live a good life without my support? 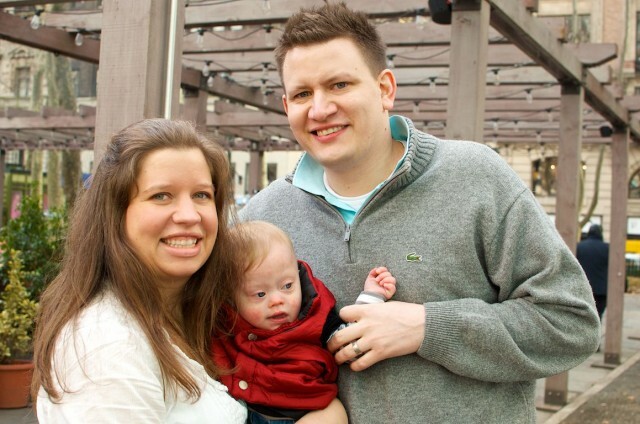 It is time for our world to embrace people who have Down syndrome. It is time for children with Down syndrome to get an education that enables them to live in the least restrictive environment. I keep praying for a change of attitude but change seems slow to happen…keep up your good work!